Are you a food/recipe blogger? Are you a food blogger who is constantly trying to grow her blog? Are you a food blogger who has just started her journey in this huge world of blogging and is little bit confused? If your answer is YES to any (or all) of the above questions, then my friend, you are at the right place! a) You are good at cooking and you want to share your recipes and experiences with the rest of the food lovers, through your blog. b)You can also earn part time (and may be full time in the future) through your blog. Gradually you realize blogging is so much more! You have to don so many hats and have to do so many tasks apart from just cooking, clicking a photo and publishing the recipe on your blog. Try the recipe and click the photos. Edit the recipe and the photos. Share it on Facebook, Instagram, Pinterest, twitter etc. Share it in various Facebook Group weekly promotional threads. Reply to reader’s comments and queries. Oh! You also have to send an email to your subscribers about this new recipe. Your website has certain technical issues. You have to fix those now. You also have to schedule pins on your tailwind account for the next week. And sooo much more to do! Here’s where a VA (VIRTUAL ASSISTANT) comes to light. 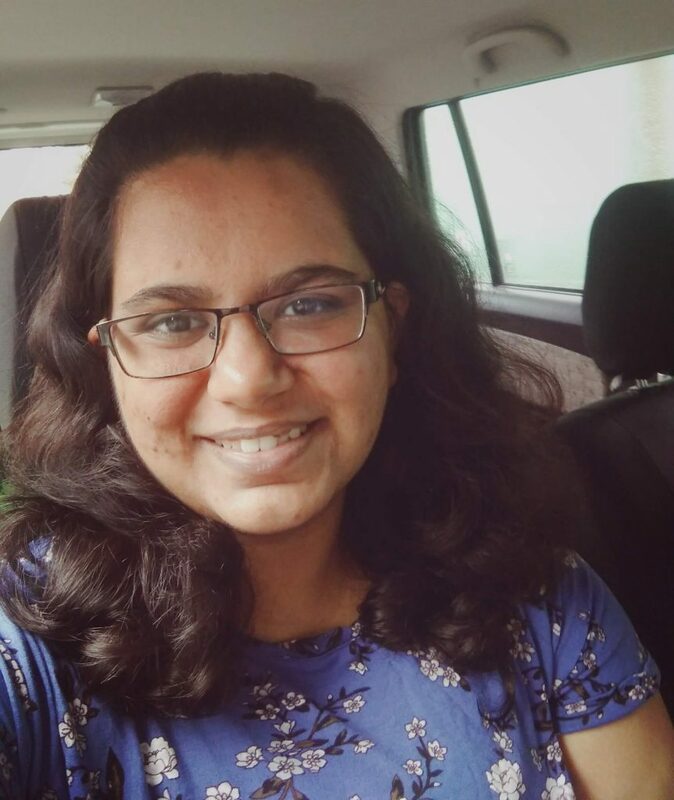 A virtual assistant is a person who can help you in some of these tasks and that can give you a good amount of time that you can utilize for either relaxing or for doing other blogging tasks. After having blogged for a good amount of time, I know how to do some of the most important blogging tasks. 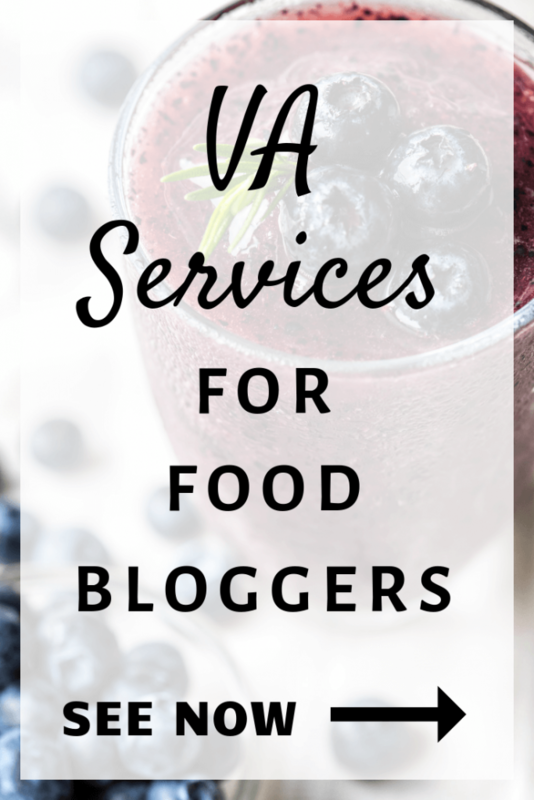 And that’s when I thought of starting my va services for my fellow food/recipe bloggers. It won’t be surprising if you ask any successful blogger about her success’ secrets and she replies with these two words: “Email Subscribers”. You want loyal email subscribers who wait every week for you to publish a new recipe. They rave about your recipes in front of their family and friends. But you can’t get such subscribers by just displaying subscription forms with captions like “Join now for new recipes” or “Subscribe now if you are interested in vegan recipes”. NO! In today’s time, when there are literally hundreds of blogs, you need to offer your reader something valuable. You need to give them something in return for joining your email list. And that something is known as a freebie or an opt in. 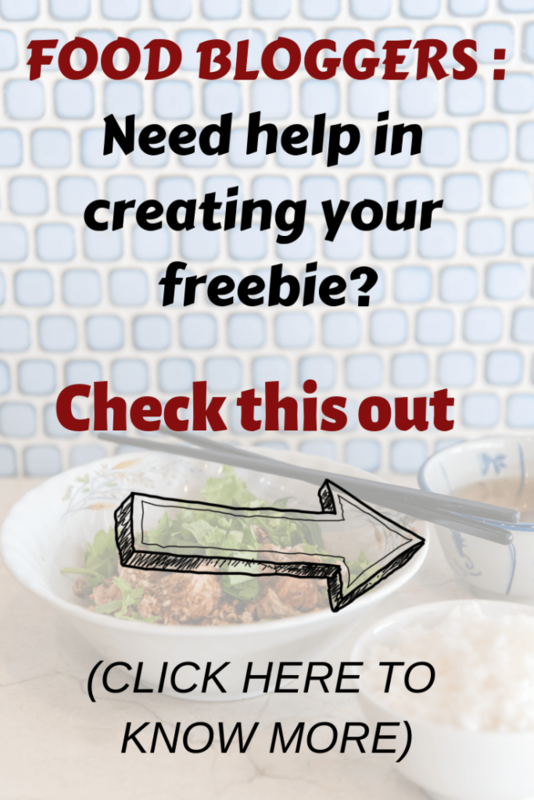 I’ll put together a recipe ebook (pdf) of 10-12 recipes from your blog as a freebie for signing up for your email list. You will send me the links of the recipes (blog posts) you want me to include in your ebook. The ebook will include the detailed recipes along with the photos. It will also consist of a cover page, your blog’s intro, an index page and a call to action in the end. Call to action : ‘Visit my blog_____ for more recipes’ or ‘Follow me on Instagram to stay updated’ or ‘You can buy my latest cookbook here’ etc. In short, you will get a professional looking ebook (pdf) that you will be able to offer as a freebie to get new email subscribers. If your blog is based on vegan recipes, then you can offer an ebook consisting of top 10 vegan cake recipes or top 10 vegan dinners. You can offer a ‘Healthy after school snack recipes for kids’ ebook, if you have those recipes on your blog. How about an ebook consisting of weight loss smoothie recipes. Just let me know the topic of your ebook and I’ll design one for you! Please scroll down to the bottom of this page and fill the form. Are you struggling with your Facebook Page? Are you not able to post on your Facebook Page daily? If yes, then I can help! It’s important to keep your Facebook Page active and for this you need to schedule content. Not just any content but high quality content. I have 3 packages for you. You can choose the one you are interested in. Find and schedule niche related high quality content your fans will love. Find and schedule new content from your blog. Repost old content from your blog. Pinterest is one of the biggest traffic sources for any blog. Especially topics like recipes, cooking and baking are quite popular on Pinterest. If you have haven’t started marketing your blog on Pinterest, you are leaving behind so much of traffic. Setting up a keyword optimized profile. Adding a keyword rich description to all the boards. Adding 15 pins to each board. Applying to 10 niche specific group boards. Submitting recipes to sites like Foodgawker etc. Recipe submitting sites are a boon to food bloggers. They are able to drive quality traffic to your blog. If your recipe photos are of good quality, then these recipe sites can be a good source of traffic for your blog. I can help you in this work. I’ll submit your recipes to all these recipe sites. I currently submit to Fridgg, Foodyub, Foodgawker, Tastebook, My recipe Magic etc. Submit 3 recipe per week to all the above mentioned recipe sites. (In case, you want me to submit more than 3 recipes per week or may be less than 3 recipes per week then let me know. I’ll create a custom package for you). Once you fill this form, I’ll contact you regarding the requested service. We will discuss it. If everything falls into place, I’ll send you the invoice and after successful payment, your requested service will be started. A small Intro of myself! I am Sakshi Bhatia. I am a food blogger just like you. I have been blogging for a couple of years now and have gradually learned all the skills required for blogging successfully. I now want to help you in creating a successful blog. 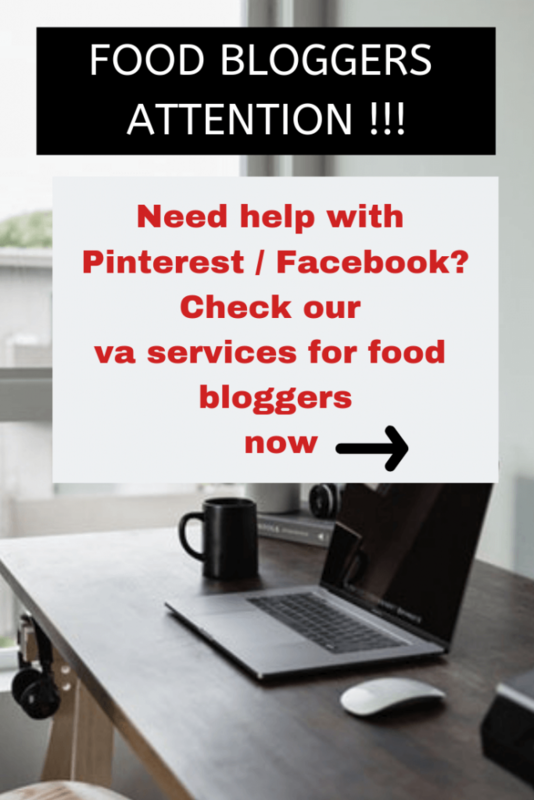 PIN IT and let other food bloggers know about the services!